Tengyur (Tib. བསྟན་འགྱུར་, Wyl. bstan 'gyur) – the commentaries on the teachings of the Buddha. 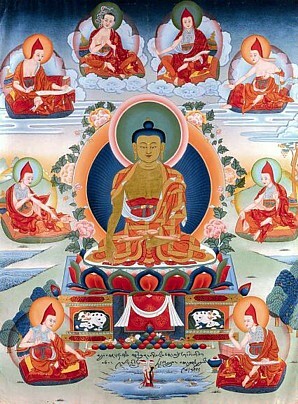 The Tibetan Buddhist Canon is divided into the actual words of the Buddha contained in the Kangyur, and the treatises composed by the learned and accomplished masters of India, which are contained in the Tengyur. In addition, there is the Pedurma (dpe bsdur ma) edition, which is a comparative edition, recently created, based the Derge collection. This page was last edited on 22 February 2017, at 20:43.